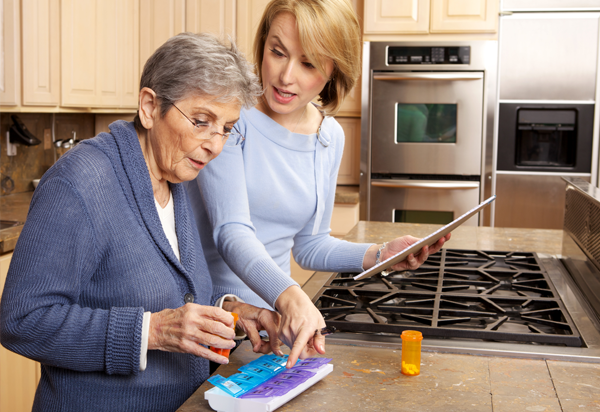 Give You’re Clients the Best Homecare Possible 24/7and Generate New Revenue at the Same Time. Even the best home healthcare agencies can't be available every minute of the day. That's why people everywhere are seeking the security of Emergency Response USA. It's a simple, one-touch emergency system. It connects your clients with trained responders at any hour of the day… And now you can provide these services while increasing profits for your agency! No investment or start-up fees! How does the Emergency Response USA Safety Monitoring Systems work? A person in need simply pushes the button on their lightweight, waterproof pendant—worn on the wrist, around the neck, or on a belt. Our Monitoring Specialists make immediate contact via our hands-free console. The enhanced, 2-way voice. system allows a person to communicate from virtually anywhere in their home! Your client's medical information is immediately sent to our Monitoring Specialist's computer screen. family, friends or other emergency contacts on file. Our Monitoring Specialist will stay in communication until help arrives. You will be on the notification list, so you can stay on top of your client's situation. The entire process occurs in just seconds! We'll Keep Important Medical Info on File. As a convenient (and free) option to your clients, we can safeguard important medical information in our monitoring system. 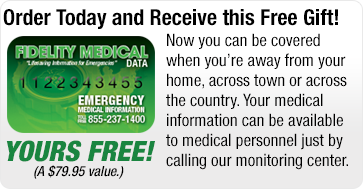 In an emergency, this information can help responders quickly identify the problem using specific medical details. As soon as your client pushes the medical alarm button, their medical information is up on our dispatcher's computer screen to help assess the emergency. AT NO COST TO YOUR AGENCY! No long-term contracts, Month-to-month service agreement. No equipment charges or fees. No down payment or security deposits. Free shipping on all units. WE'LL HANDLE ALL ORDERS & TRANSACTIONS. We'll work directly with your clients or their insurance agencies. Your agency will receive monthly commissions for as long as your clients remain active subscribers. If you want to install it, your agency can earn additional revenue. All you do is plug it in, and it's ready to go. Or, we can ship direct to your clients and you'll never have to stock, store or deliver anything. WHAT'S THE BEST WAY TO TELL PEOPLE ABOUT Emergency Response USA? Educational literature for your Clients on Home Safety. Trade Show & Fair Pop Up Display’s. Full support for you & your patients, 7 days a week.